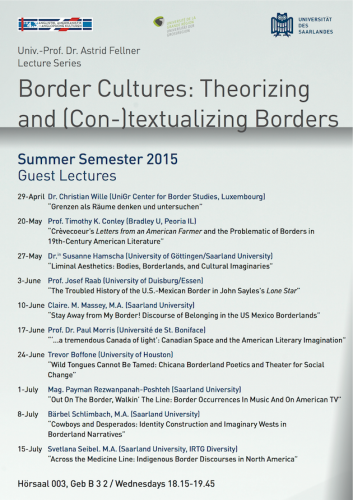 For the summer term of 2015, the IRTG Diversity's Principal Investigator Prof. Dr. Astrid Fellner has organized a lecture series on "Border Cultures: Theorizing and (Con-)textualizing Borders". 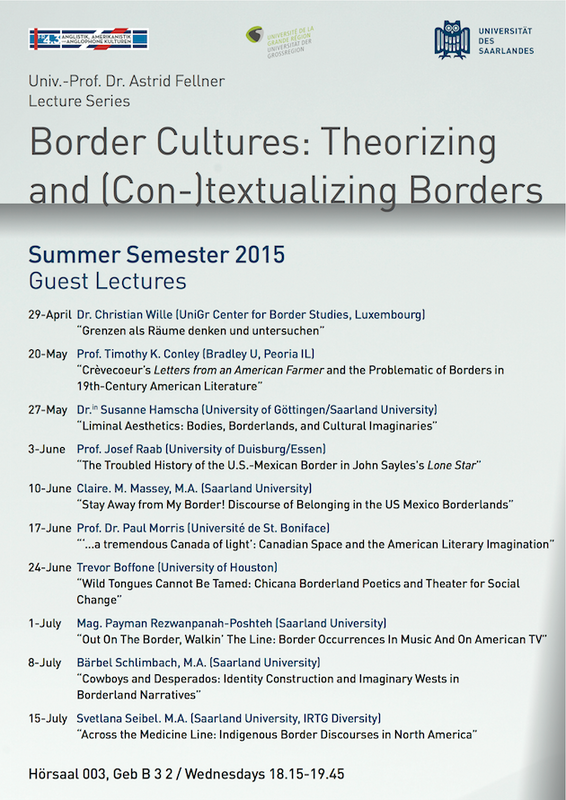 The lectures will take place at Saarland University (lecture hall 003, building B 3 2, Wednesdays, 18.15-19.45). All of the lectures are connected to the IRTG Diversity's research interests, but we would particularly like to draw your attention to the lecture on June 17, presented by the IRTG Diversity's visiting professor Paul Morris ("Canadian Space and the American Literary Imagination"), and to the lecture on July 15, given by the IRTG's doctoral candidate Svetlana Seibel ("Across the Medicine Line: Indigenous Border Discourses in North America").